However, at $1350, you’ll pay a premium for the breath-taking design and that flawless screen. If you want more computational bang for your buck, take a look at the Acer Aspire S3, but if it’s sumptuous user-experience on a Windows machine you’re after, Samsung Series 9 could be your baby. Considering it’s substantially slower and lower in resolution than the Air, I was hoping for an Acer-like price tag (in the realm of $900), but that’s not to be. At $1,650, the Series 9 costs $350 more than the similarly equipped Air. I expect Samsung will start slashing prices to something more appropriate as more sub-$1,000 ultrabook competition arrives on the market, but for now this machine’s performance just can’t back up its hefty outlay. The 13.3-inch Samsung Series 9 is by far one of the thinnest and sexiest Windows notebooks we have seen in a long time, and equipped with the new Sandy Bridge processors, it could very well be one of the most useful ultra-portables we have seen too. The integrated graphics can’t play PC games very well, but its low-voltage, 1.4GHz Core i5 processor and Intel HD 3000 graphics are capable of rendering movies, web pages with flash and spreadsheets just fine. To many of our readers the Series 9 will look like an almost desperate attempt by Samsung to create a bona fide Macbook Air competitor or at the very least make their presence known in the ultra portable market. Well, a statement has certainly been made; this svelte notebook crams a significant amount of power into its confined chassis and performance is actually quite respectable. The stunning design of the Series 9 is sleek, slim and sturdy all at the same time. It's amazing that Samsung can pack performance, battery power and the ports you actually need in, along with a great keyboard and screen, plus surprisingly good sound. The 3-year warranty makes this a PC that's good enough for business users (although beware, as not all of the first models released have a TPM chip). So what's not to like? If you’re a perfectionist, the keyboard could be better. The touch pad irritated us far too often and the price is undeniably high (though less than the chunkier ThinkPad X1). A system this thin makes compromises but we think Samsung has made all the right ones. If you fancy an Air but don't want OS X, the Series 9 is almost perfect. Samsung's Series 9 remains about as refined as an ultraportable can get, but at $2499, that refinement comes at a considerable cost. Deep-pocketed consumers craving the latest in swish ultraportables will be pleased, but with Apple's MacBook Air due for a Sandy Bridge update, the Samsung's wow-factor may be short-lived. 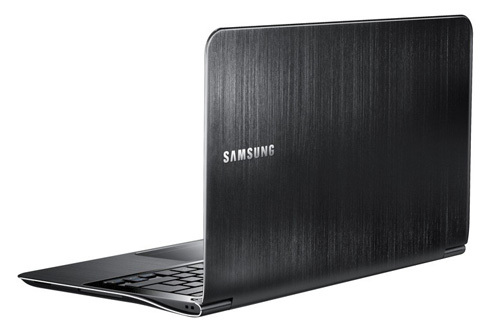 67% Samsung Series 9 reviewed: can it take on the MacBook Air? Though it sounds like there are more downsides than upsides in this review, we've come at it at a particularly harsh angle. It's definitely not perfect, but it's so much better than many thin and light notebooks out there. What it does have going for it, it does brilliantly. It's supremely fast for its category. A stunning slimline laptop that provides a realistic Windows-based alternative to the Apple MacBook Air. 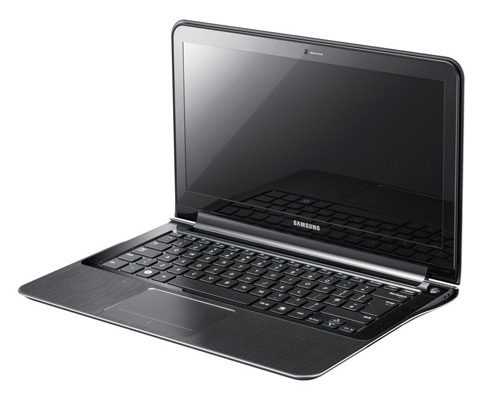 Priced at AED 6,999, the Samsung Series 9 certainly comes out a bit on the pricey side. But when you look at the competition, or the MacBook Air 13?, that sells for around the same with a slightly worse CPU but a better battery life and GPU. If Windows is your thing, then the Samsung Series 9 is definitely your best choice for something that is incredibly thin and stylish with good performance. Just as the original 13-inch Samsung Series 9 laptop was a direct shot across the bow of the 13-inch MacBook Air, this new 11.6-inch version is aimed squarely at the smaller version of the Air. The smaller, 11.6-inch version of Samsung's excellent Series 9 laptop is thin and light, and has a few features the MacBook Air lacks, but it's more expensive and doesn't trump the competition where it counts. This raises the question of values. If a stylish, stand-out design is of paramount importance, the Series 9 brings it—more so than any other ultraportable PC around—while offering respectable features and performance. But better features and performance can be found in an ultraportable form factor that makes less of a fashion statement. Is the Series 9 impressive enough to warrant the price, though? The top-spec Air is cheaper and, although it lacks the Samsung's USB 3.0, HDMI and Ethernet ports, it has a higher-resolution screen and a proper SD card reader. The Samsung 900X3A is indeed lovely, but on balance we’d stick with the Mac. However, if you must have Windows 7, this is the closest thing to a MacBook Air you’ll find, and that’s pretty high praise. The Samsung 900X3A’s slender chassis is made from the same stuff as military aircraft, but this laptop is a lot more attractive than any stealth bomber. If you've lusted after a MacBook Air, but just can't bring yourself to make the switch to OS X, Samsung hopes to have you salivating over its Series 9 laptop. It's hugely expensive, so it's obviously not going to appeal to everyone. But if you've been lusting after a Windows alternative to the MacBook Air, the series 9 has both the lust factor and performance to warrant the high asking price. While it's more powerful than the MacBook Air, the Samsung NP900X3A suffers from the same faults, namely limited connectivity and very low capacity in games. It is, nevertheless, a light, well-finished, high-quality model that'll make an excellent alternative for those who don't want to use Mac OS. The Samsung 900X3A doesn't come cheap, but in return you get a beautiful piece of highly portable kit, packing plenty of power. Aside from the ropey touchpad and limited storage, we recommend this machine for regular travellers who demand strong performance. Battery life is decent, but not the best out there. Expect to get about 5-6 hours of battery life, which isn't as good as netbooks, but it is slightly longer than the Macbook Air. Lighter and arguably thinner than Apple's Macbook Air, the 13.3in, Series 9 900X3A may not be as pretty and attracts more fingerprints, but offers far more power and connectivity. Combined with a truly excellent screen, surprisingly good speakers, the best touchpad on any Windows laptop and decent battery life, if you're looking for one of the thinnest and lightest Windows 7 machines around it's an excellent choice and well worth its high asking price. Very few notebooks sweep into our offices and truly wow us with their thin, light, and gorgeous designs. We can count the recent candidates on one hand: the Apple MacBook Air, the Sony VAIO Z Series, and the Toshiba Portégé R Series. Sleek design, a light-yet-durable chassis, and solid speed make this ultraportable a serious wow-inducer, even if it can't quite surpass its tough competition. If every action has an equal and opposite reaction, then consider the Samsung Series 9 NP900X3A to be a direct response to Apple's MacBook Air. The $1,649 Samsung Series 9 NP900X3A certainly won't be for every wallet, but this light, well-featured, and striking 13-incher is the closest the Windows world will ever come to a MacBook Air. However, its higher-than-the-Air price will be hard to stomach. 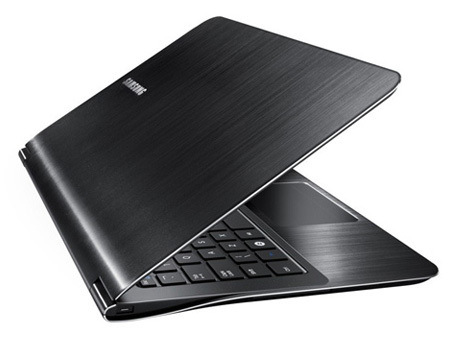 The Samsung Series 9 ultraportable laptop is a cracker-thin (but robust) Windows version of the Air 13-inch and will cost you just as much. Finally! The Series 9 gets right what so many other ultrathin PCs have repeatedly gotten wrong. It's got a brand spankin' new and speedy Sandy Bridge Core i5 processor, a fast 128GB SSD as well as a high quality screen and stunning exterior. And on top of all that, it doesn't require that you drag along the AC adapter everywhere you go. With its sleek and strong design, ultra-bright display, excellent keyboard and touchpad, and fast performance, the Samsung Series 9 is one of the most compelling premium ultraportables we've tested. However, $1,649 is a lot of money to spend on a laptop, even when you factor in the three-year warranty. The 13-inch MacBook Air delivers longer battery life, better graphics, and a higher-res display for $350 less, and you can get a 256GB SSD inside for $50 less than the Series 9. The Series 9 isn't an Air killer, but it is a killer Windows notebook that combines plenty of style and substance. We just wish it lasted longer on a charge. It sports a 13.3-inch 1366 x 768 matte display, new Core (2011) i5-2537M processor, 4GB of RAM, a 128GB SSD, 1.5-watt speakers plus subwoofer and Windows 7 Home Premium. Ports are a bit sparse though with only a 2x USB, mini HDMI, headphone and a MicroSD card slot. Battery is non-removable. Chiclet backlit keyboard. Buttonless and large trackpad. Matte aluminum finish lid. Nice one, Samsung. Will be out in February for around $1,600.